His tone implied that the engineers designing cars were just idiots, and he was sure he could do better – with just this one idea. 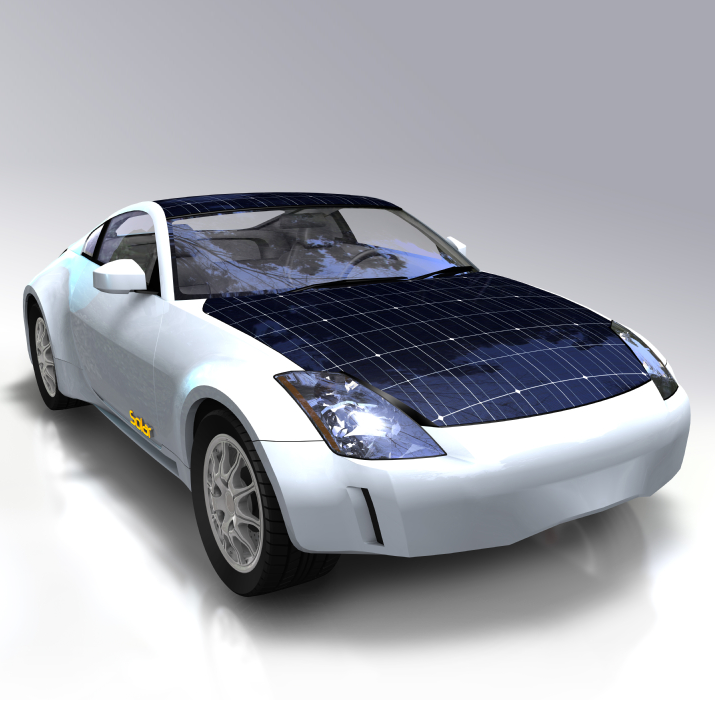 I was going to answer with some helpful information about the amount of energy required to operate an automobile, the amount of energy collected by even idealized solar cells, and the amount of area available on top of a typical vehicle. I didn’t get the chance. Now, I was more hesitant to speak. I wanted to explain that modern, sensor-driven, computer-controlled fuel injection systems did a much better job achieving near-ideal fuel-air mixtures than any carburetor could ever hope to accomplish. I didn’t get the chance. I don’t know about your engineering career, but I never confronted a situation where I was told not to invent something, not to come up with the very most efficient solution possible for a given problem, or otherwise prevented from doing my very best engineering work in any way – let alone in any form that could possibly be connected to some big anti-innovation conspiracy. I did, however, encounter numerous situations where something that seemed like an “obvious” solution at first turned out to be completely unworkable once the problem and the limitations of that “obvious” solution were understood. Sometimes, that created a complicated conversation with management who, without benefit of the firsthand detailed analysis, thought the “obvious” solution seemed like the way to go. As professional engineers, it is our job to be experts. In order to perform our duties up to professional standards, and to avoid endangering the safety, happiness, and well-being of the people who come in contact with our creations, we must gather all available information relevant to our projects and give our very best effort to analyzing and applying that information to our design. Real-world problems are never as simple as they seem at first, and we often find ourselves in a labyrinth of corner cases, compromises, and assumptions that foil us at every turn. Sometimes, it seems like a problem is a fractal – you sub-divide the big problem into smaller ones, and each of the smaller problems seems just as complex as the original. It can be maddening and all-consuming. We may work eight to ten hours a day at the office, but our brains are incapable of ever letting go of the problem. We sit staring into space as the family has dinner. In reality, (especially if you count the weird dreams,) many engineers put in 16-20 hours per day when we’re deep in a project. We usually do this while applying a career’s worth of experience and education to help zero-in on the best solution and to fan out to consider the relevant and important issues. It would be a rare case indeed when a casual, untrained observer would come up with anything useful or germane to our project. It does happen, of course, but far more often we find ourselves working to explain a complex topic to someone – a topic for which they may not have the background to understand – in order to politely defuse the “Why don’t you just…” suggestion. Today, with the ready access of mass communication vehicles like social media, the “Why don’t you just…” has acquired a new superpower. Now, the ill-informed whims of the few can become the mantra of the multitudes. Viral fallacy can sweep like a tidal wave through society – courtesy of the global misinformation superhighway. The internet has democratized mass communication, taking it from the hands of a privileged, powerful few, and bestowing it upon the common citizen. The common citizen said, “Thank you very much,” and proceeded to fill the available bandwidth to the brim with wrong and distorted information. Unfortunately, wrong and distorted information won’t engineer working systems. Only the truth will do that. So we perform our professional duties, we become experts, and we sometimes look upon those “Why don’t they just…” people with disdain. But, we should look a little deeper and with a bit more introspection and humility. There are several stages we go through when learning a skill or craft. The first is “unconscious incompetence” – we don’t know what we don’t know. This is what “Why don’t they just” is built upon. It is also called “knowing just enough to be dangerous.” Armed with just a bit of knowledge, a person jumps to conclusions because they are unaware of the vastness of the enterprise and the real complexity of the problem. The third stage is “conscious competence” – we know what we know. At this stage, we are competent in our craft. We can draw upon our expertise, apply learned principles and skills, and forge a solution. We don’t know everything, but we know where to learn it. We are practitioners. The fourth and final stage is “unconscious competence” – we don’t know what we know. At this level of mastery, we apply skills and knowledge almost without thinking. We just “do.” It is at this point we are truly experts, and true experts are the most valuable commodity in any discipline. At the same time, silence by knowledgable people only lends credibility to the kooks in a discussion. When the credibility of kooks poor statements are challenged, responsible people do have the power to google the subject, and find facts, especially on urban myth sites that refute most garbage science. @TotallyLost, I agree completely. All of us should challenge misinformation when we see it being propagated, and we should work very hard to be sure that what we publish or broadcast is correct. I feel that we in the press have an additional responsibility to make that information objective, and to be transparent about origins and motivations.